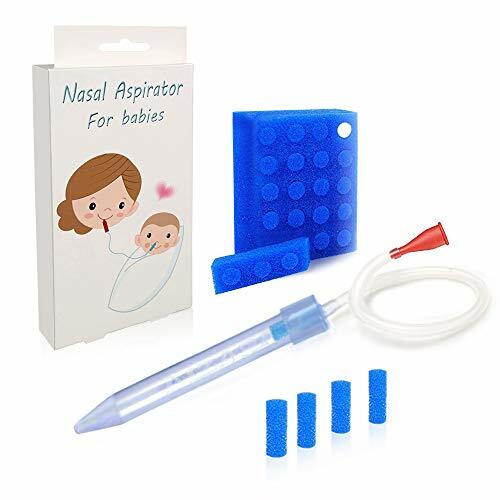 Comfortable & Non-Invasive - Silicone tip creates a seal with the outside of the baby's nostril for seamless gentle snotsucking. Hospital Grade Soft Silicone Tip - Designed to Fit Comfortably Into Your Babys Nose，BPA free，No Harmful Plastics. Easy To Clean - Bigger bottle boby and all parts can be split，easier to wash clean . HYGIENIC - We use disposable filters(23+1Hygiene Filters）.It is clinically proven to prevent infectious bacterial,Give our baby more protection. WARRANTY POLICY - If for any reason you are not completely satisfied with your purchase. please contact us for refund or replacement!